My goal is to help you figure out where you want to be and what you need to do to get there. My success over time has come from the ability to incorporate ideas from multiple influences to create a hybrid system that works for me. I am going to help you to do the same. Happiness is yours for the making. Whether you need motivation, clarity, accountability, marketing advice, social media suggestions, or simply want to discuss clinical concepts, I gotchu. The practice where I work is so old-school but I need the money and can't leave. How can I still grow? That list, while extensive, is not exhaustive. A Maestro Meeting, at its heart, is one-on-one business coaching for anyone who is ready to become the CEO of their life and change their current circumstances. If you want more out of life, if you want something different, if you want something better, let me help you. I'm all about empowering folks, so I'm putting the ball in your court. 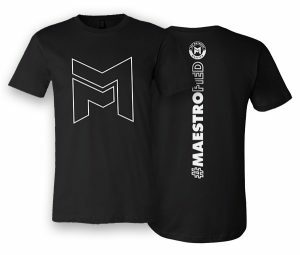 If you want in, click the link below to schedule, pay the monies, and get ready to be #Maestrofied. Happiness is yours for the making. $300 per Maestro Meeting. No extra taxes. No hidden fees. No beating around the bush. When you pay, you pay attention. Consider this your first business lesson 😉 “Calls” last one hour and can occur via phone, Skype, or FaceTime, depending on your location and your preferred method of communication. Don't worry about the time-zone differences. My online scheduler will handle all of that. Just click the date and time that works for you. Just like with physical therapy, the only promise I make is that I will give 100%, but never more than you give. I guide, I facilitate, I hold up the mirror. I do not fix. The goal of the Maestro Meeting is for you to leave that session motivated, with a clearer overall direction and 2-3 resources to begin your journey. Thank you again for your interest, your time, and your belief in me. Cheers to creating your happiness. Schedule a Maestro Meeting Now!